Why is it necessary? Because studying fans is our passion. No one really needs to read this blog. In fact, no one ever did. To the best of my knowledge, we’ve never coerced anybody into paying any kind of attention whatsoever. We just decided to write and the rest took its course. We appreciate that our subject matter resonates with people, and we certainly enjoy writing, otherwise we’d stop. Sometimes, I have to remind myself of that, particularly when things don’t go well or as I’d planned. Amanda and I decided to write. We also decided to study. Whether or not people read, or like what we say, is honestly and truly immaterial at this point – although I do get a good chuckle when someone chooses to not only respond, but in doing so also illustrates whatever point we were writing about, with exacting precision. I can’t even bother being outraged. The irony. This blog and website represent a small part of our lives. The blog is our hobby. Conversely, studying, researching and the real writing – not the musing you find here, but the real writing – is the passion. Most wouldn’t know that, because it is far easier to assume that Amanda and I have nothing else to do with our lives other than wax poetic about Duran Duran. Stereotypes live long and prosper. I get it, but nothing could be further from the truth. We make the time for this hobby. For Amanda and I, it isn’t even about Duran Duran, although the band was certainly what brought us together and we obviously love the music and them as people even if we don’t always agree. No, for us it is about fandom. Fan Studies. Fannish practices. Duran Duran is where we find enjoyment. We go to concerts. We definitely put on meet ups and things of that nature. Those events are for fun. They give us joy. We write about Duran Duran here. We celebrate being fans. 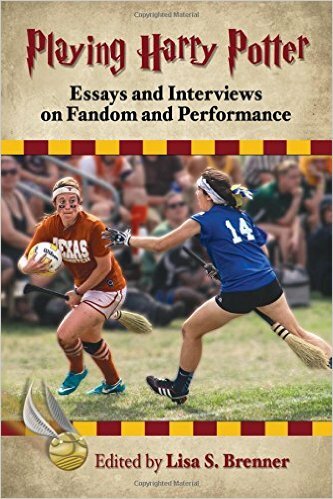 Studying fandom though – that is our gig. We want to know and learn why we fans do the things we do. The fascinating thing is that in our particularly fandom – we don’t operate or behave in the same ways that other fandoms might. After years of studying and researching, we think we’ve finally hit on why that might be, so we decided to write a paper, and a proposal to present it at the Pop Culture Association International Conference. We wanted feedback from the academic community, which we received. Suffice to say, we weren’t wrong. That conference wasn’t a convention of people thrown together for a weekend of drinking and hi jinx. Professors, grad students, independent scholars and authors came together to test out new theories, receive feedback and make connections. It was a time to watch other people present their hard work and hopefully allow that creative juice to flow. This was not a Duran Duran fan convention, y’all. Yep, to many of you, that might seem incredibly dull or even a waste of time. To Amanda and I? It is what each of us studied in college. My bachelors degree is in American Studies. I spent my time taking full semester courses on subjects like “A Sense of Place”, “The Culture of Los Angeles”, “1960’s America”, “1960s Youth Counterculture”, “Spaghetti Westerns”, “Disneyland” (Yes, a full course on Disneyland and how it represented our culture in 1955 and beyond), “Beatlemania”….not to mention several survey courses I had to take along the way. Amanda’s class topics were likely similar, but while I studied American culture, she studied the culture of women in society. We like studying groups of people and learning why they act, react, and interact the way they do—and how all of that is influenced, or influences, society in general. For us, the conference was right up our alley. Everyone there was just as obsessed with their field of study as we are with ours – there was someone who studied Buffy the Vampire Slayer and was presenting on that subject. She saw other presentations on topics such as the Use of Memes in the 2016 election, Pop Culture in the Classroom, Handmaid’s Tale in Fan Fiction, Beauty Bloggers on YouTube, and Social Media and activism. I can’t remember all of the subjects I saw on the schedule, but the point is that our study of the uniqueness of female fandoms was not at all out-of-place. I would have loved going, that is for sure. Amanda and I don’t look at our research and study as a waste of time, but we also realize that it is way beyond what most Duran Duran fans are interested in. We share what we’re working on with you because after nearly eight years of blogging, some of you are personal friends and have asked us to keep you posted. She and I also find it kind of funny that a band brought us together, and here we are. So yes, we share that journey with anyone who wants to read—and apparently even some who say they don’t. As I’ve said before, no one is making anybody read this blog. We don’t have a traffic “requirement” and we’re definitely not making money here, so if you’re offended by what we write – don’t bother. It’s really that simple. We know we’re not for everyone, and I don’t think either of us really cares anymore. We have fun with what we want to do. Amanda and I write what we want. We don’t compose blogs with the intention of getting high traffic to the site, and Daily Duranie is never going to be for the fans who ONLY want to fawn all day long over the sights of Simon, John, Roger, Nick and/or Dom. We’ve done a fair share of that over the years, but we also write about why and how it all happens. Sometimes, those are hard truths to read. In reference to yesterday’s video posted by Amanda, someone kindly asked why we felt the need to “point those things out”. First of all, we posted the video because our readers asked us. We have friends here that have followed us from nearly day one and they were interested in hearing the final presentation. Amanda spoke as she might to the academic audience, for the most part. She wasn’t directing it at the general public, or our regular reading audience. We didn’t expect everyone to like it, but we posted it for those who were interested. Rest assured, sometimes – we just want to go to a show and have fun, too (and we do). Secondly, is it really such a crime to know that (most, not necessarily all) women seek validation from men? Why does that truth bother anybody? Do you wear makeup and dress nicely? Do you comb your hair in the morning? I do. I do it because it makes me feel human, but I also do it because I like hearing my husband say that I look nice. The same goes true for when I go to shows. I don’t mind looking nice, and hey – if the band looks at me and smiles or Dom holds up a sign saying hi to me (at the urging of a friend), I get as giggly about that as anyone else. It’s harmless. That said, I also realize that society has taught me, both directly and indirectly – to look and need those things. Is that a character flaw? Maybe, if I allow that validation to become more important than other relationships and people in my life. Lastly, and most importantly – I say this at risk of offending some – we write what WE want to write. We have fun here the way we want. Just as the band writes the music they want, we’re going to do this our own way. Come along if you want, we’ll make room! It is a huge commitment and challenge, a mission and you have my support.